Information capture has come a long way, baby! From stuffing paper through a scanner to taking pictures in the literal blink of an eye, it’s so much more than what we grew up with. 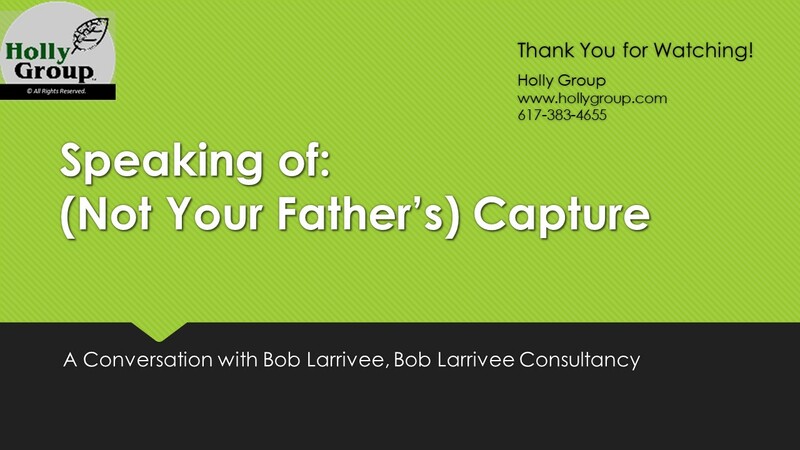 Here, the illustrious Bob Larrivee and I talk about the “latest-and-greatest” in the world of capture, and the need to update the way we think about bringing information into our organizations. It’s the most interesting 20 minutes you’ll spend today!